NBA YoungBoy is currently facing ten years in prison. Rapper YoungBoy Never Broke Again is currently behind bars facing some serious legal problems. He was arrested in Florida last month on suspicion of assault and kidnapping following a fight with his girlfriend at a hotel in Tallahassee. Cops later found out that he was a fugitive facing gun-related crimes in Georgia and other crimes in his native Baton Rouge where he is currently on probation. Prosecutors are now asking a judge to revoke his probation and send him to prison for ten years. As if that wasn’t enough, the East Baton Rouge Parish Assistant District Attorney has labeled NBA YoungBoy, real name Kentrell DeSean Gaulden, a threat to society. In February last year, Never Broke Again was charged with two counts of attempted first-degree murder stemming from a November 2016 shooting incident. In May of last year, he copped a plea deal to have the charge reduce to aggravated assault with a firearm. At the time, he told the judge that the whole thing was a mistake and he has since learned from his decision. He was sentenced to supervised probation for three years, as well as, a suspended sentence of 10 years. He was also required to avoid any new arrest or conviction, which all changed last week when he was picked up by cops in Florida. 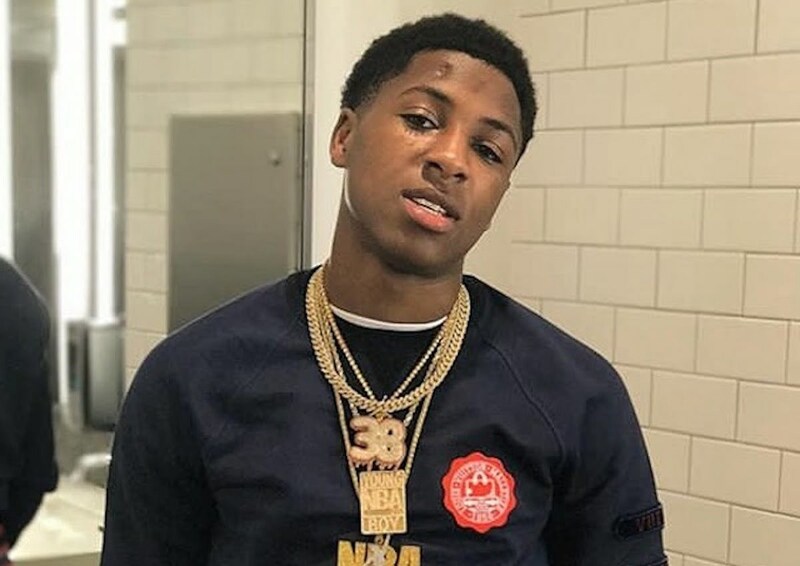 YoungBoy’s next court hearing is set for May 18 when a judge will hand down a ruling on the request from prosecutors to send the Until Death Call My Name rapper to prison for 10 years. Atlantic Records reps couldn’t be reached for a comment on these developments.